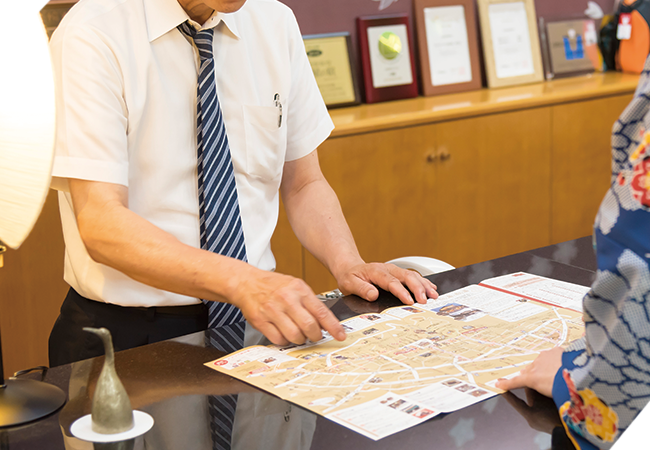 The staff will welcome you at front desk after passing through our hotel entrance. 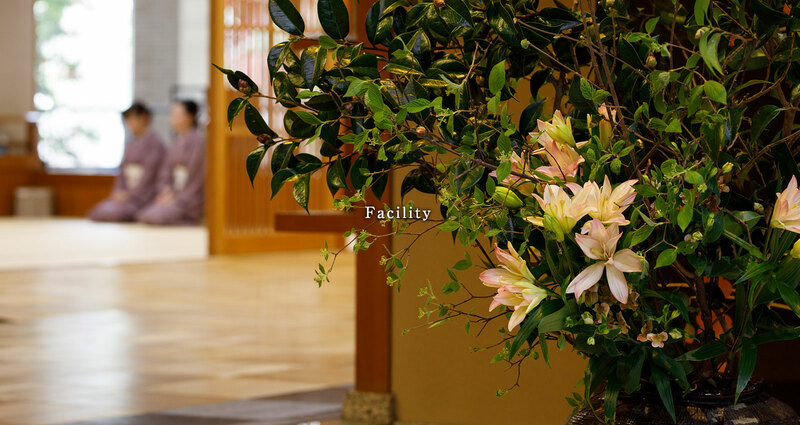 After checking in, you can choose your colorful Yukata, you can relax in the room, we will wait for sherbet service at the lounge. 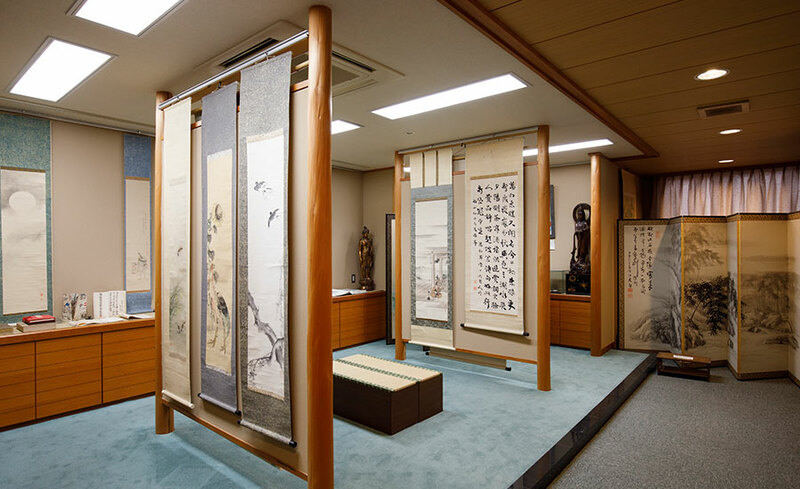 In front of the reception, we have a large selection of Kaga specialty souvenirs. 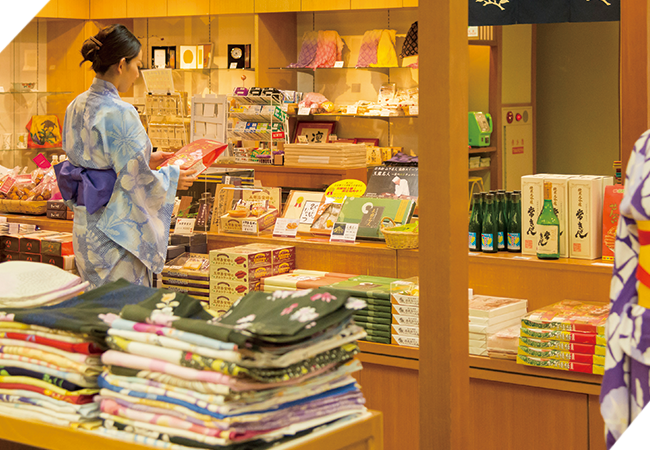 In front of souvenirs corner, we prepare Yukata. 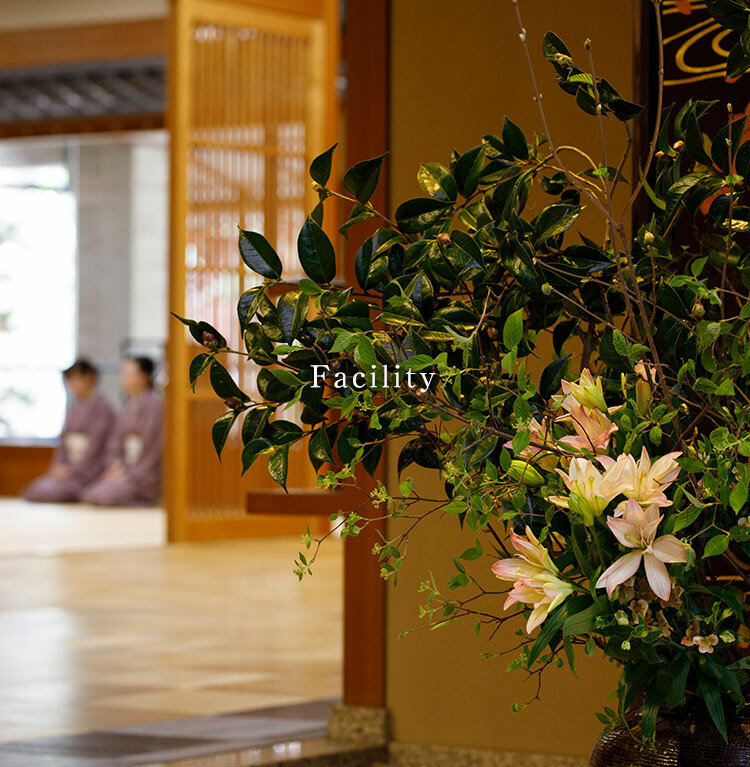 For women stay guests, please bring your favorite Yukata here after check-in. You can use it free of charge. Making same as Women’s bath. 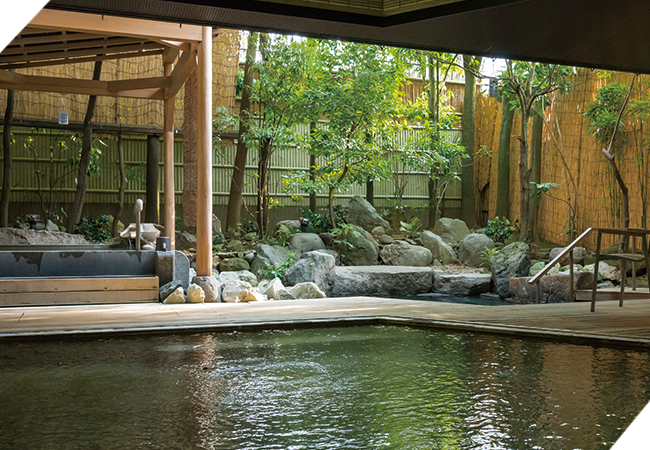 While watching the garden from a large window without pillars, you can enjoy the hot spring source with open mood. 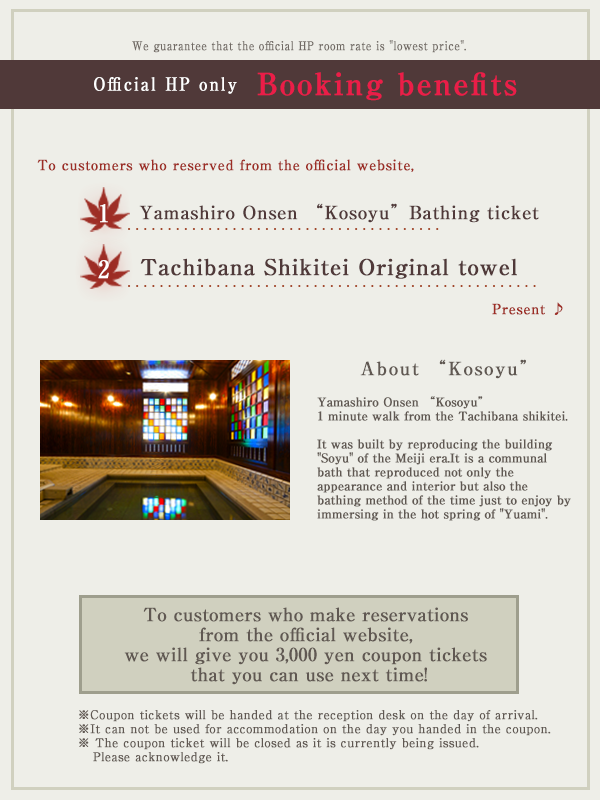 The bathtub is slightly smaller than for women, but you can relax slowly in the moist atmosphere. Cool feeling of cleanliness feels good on bare feet. Lobby spreading paulownia thought to be a first time in the whole country. Furnished with the latticed doors, while seeing Banmatuen street across the lattice, please relax slowly with bare feet. A reading corner is prepared in one corner of lounge. While sitting chair, you can enjoy reading slowly. 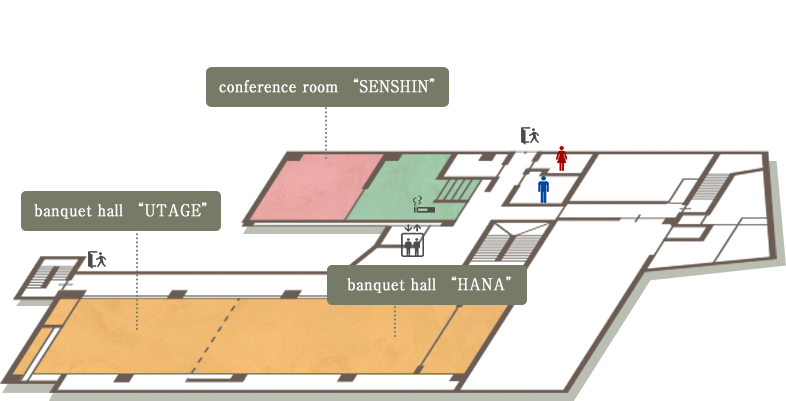 [ Hanautage ] It is a large banquet hall of 120 tatami mats. 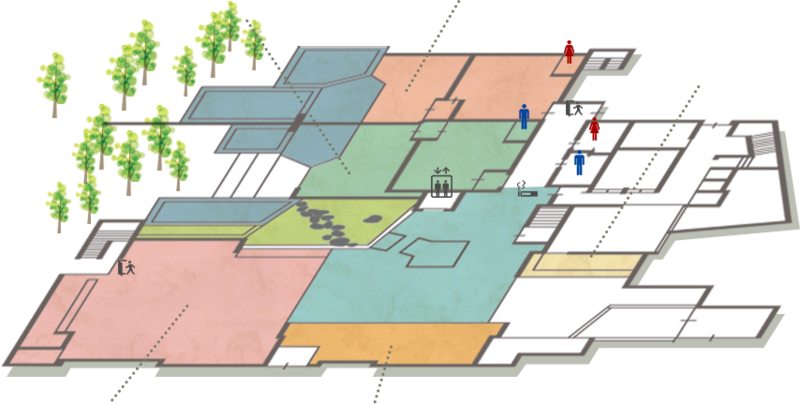 It is also possible to divide into 2 rooms and it can be used for various purposes. 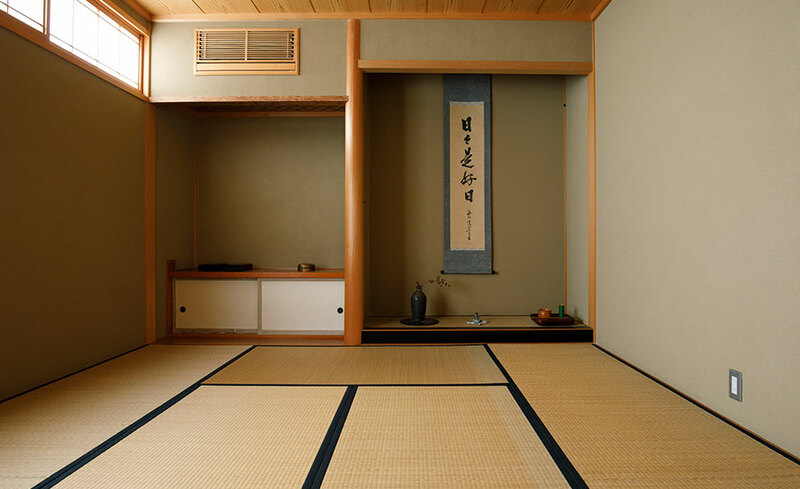 [ Senshin ] It is a small banquet room that has been customized for digging. 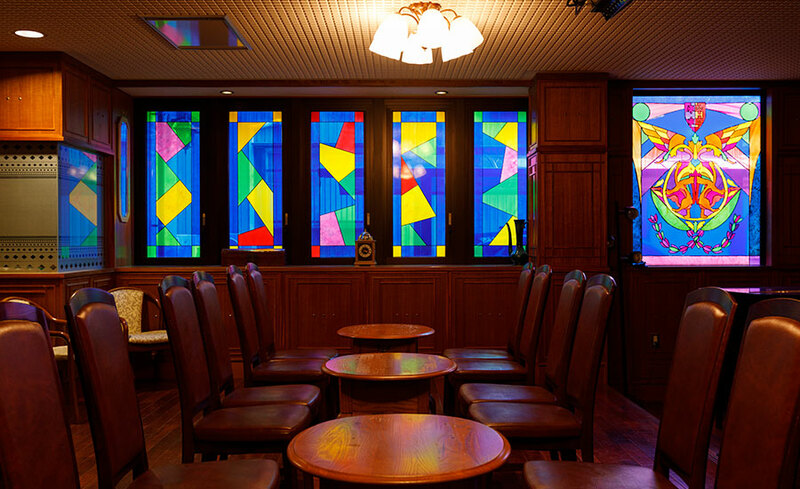 It can be used for small meeting, banquet and dinner. 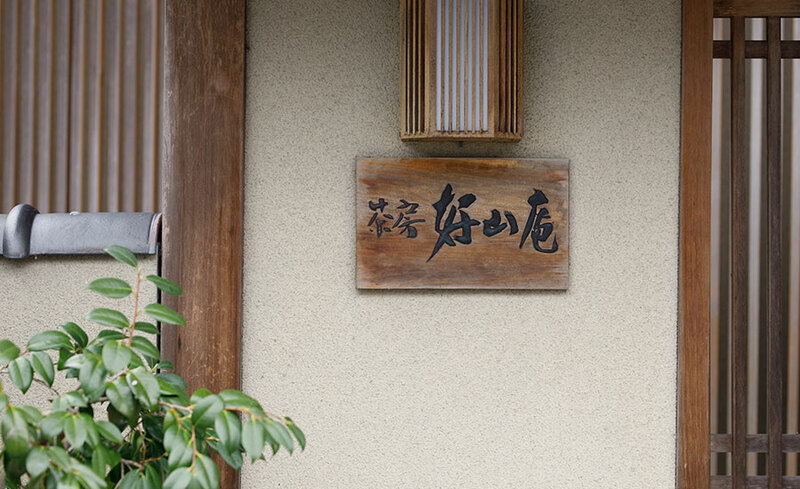 In front of Senshin, a signboard made by KITAOUJI ROSANJIN with full heart is displayed. The thought of Food artist Rosanjin is still inherited. 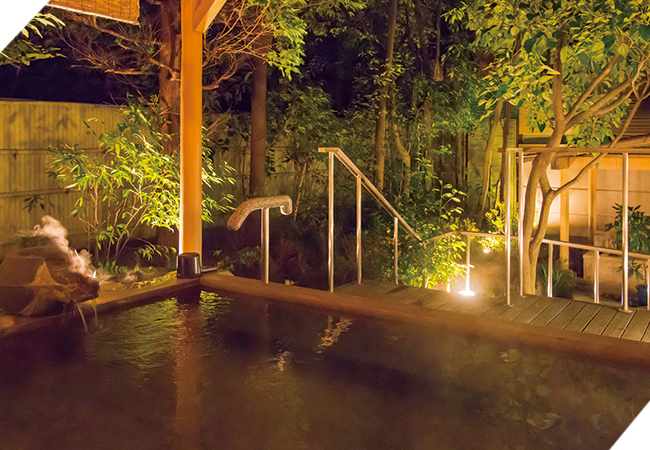 You can experience Indian traditional medicine “Ayurveda” with a history of 5,000 years. 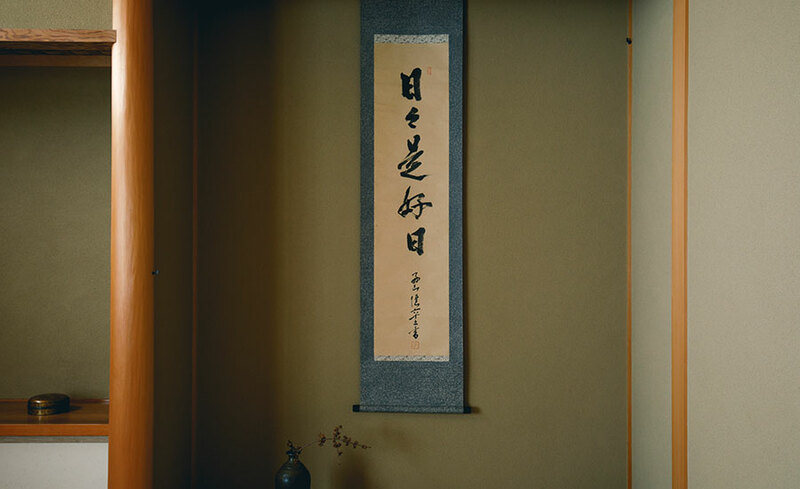 you can enjoy matcha (green tea) in the tea room after enjoying appreciation of masterpieces such as painting, crafts owned by the last and the last last head of family of our hotel. 3 minutes on foot from our hotel. 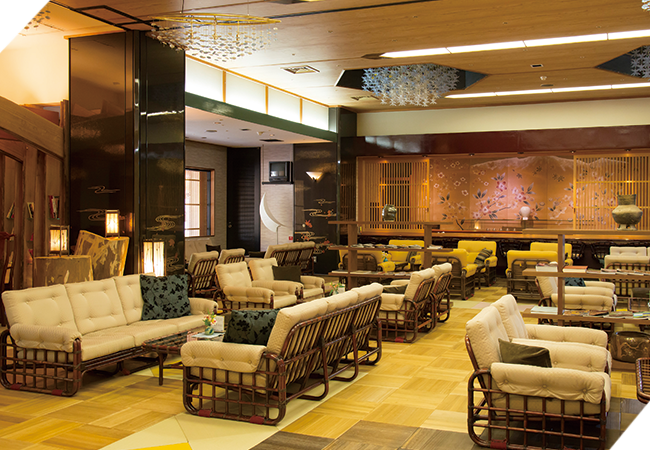 Guests who wish to visit please tell us at reception desk.